Mr. Miller serves as Chairman of the Board of Fidelity Southern Corporation, the Bank’s holding company, and Fidelity Bank. He served on the Board of Directors of the Atlanta Committee for the 1996 Olympic Games and also carried the Olympic Torch in his hometown of Tallahassee, FL. Mr. Miller is Chairman Emeritus of the Michael C. Carlos Museum of Emory, and is on the Advisory Boards of the State Botanical Garden of Georgia, and the Shepherd Center. He is a board member of the Buckhead Coalition, the Atlanta USO, and the Atlanta Opera, and served as President of Decatur Rotary, the Dekalb Chamber of Commerce, the Dekalb History Center, and Callanwolde Center and the Atlanta Junior League Board of Advisors. He serves on the Boards of Interface, Inc. and American Software, Inc., public companies and was on the A. L. Williams Insurance Company Board. He is on the Vanderbilt Law School Board of Advisors and was a member of the Florida State University College of Business Board of Governors. He is a graduate of Florida State University and Vanderbilt Law School. Palmer Proctor is President & CEO of Fidelity Bank and President of Fidelity Southern Corporation, and serves on the Boards of Directors of both. Mr. Proctor has held numerous management positions including Senior Vice President of retail and consumer banking, trust and investments, bank operations, and commercial banking activities. He currently serves on the Executive Committee for the bank and the holding company and serves on the bank’s Loan and Discount, 401(k), Personnel, Management, and Asset/Liability Committees. 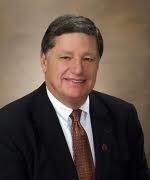 A native of Tallahassee, Florida, Palmer holds degrees from Auburn University and The Stonier Graduate School of Banking, Georgetown University. He is a Director of Brown & Brown, Inc., an insurance brokerage firm located in Daytona Beach, Florida, serves as Chairman Elect of the Georgia Bankers Association, and is a member of the Advisory Board of Allied Financial. Palmer has been involved in many civic activities throughout his banking career including the arts, education, and children’s wellness. He previously served as a member of the Board of Directors and past President of Callanwolde Fine Arts Center, and as a Trustee of Fernbank Museum of Natural History. In addition, Palmer is a founder of the Night of Hope Gala, an annual event supporting research for MDA/ALS (Lou Gehrig’s disease). He is also a member of the Rotary Club of Atlanta and the Buckhead Lions Club. General Bockel was elected to the Boards on September 30, 1997. 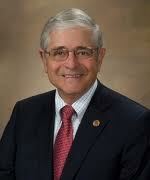 He serves on the Audit Committee and is Chairman of the Compensation and Nominating Committees. General Bockel retired as a Major General in the U.S. Army Reserve and is currently Veterans Liaison for the Governor’s office of Workforce Development. Previously he served as Executive Director of the Reserve Officers Association of the United States in Washington, D.C. from 2003 to October 2011. He was the President of Bockel & Company, an advertising agency in Atlanta, GA, from January 1971 until September 30, 2003. Prior thereto, he was President of the predecessor companies, which he first established in 1971. Mr. Bullard was elected to the Boards in February 2018. He is currently Vice President of Community Affairs at Chick-fil-A, Inc. and Executive Director of the Chick-fil-A Foundation. 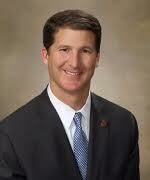 Prior to his role at Chick-fil-A, Rodney served as an Assistant United States Attorney. Previously, Rodney was selected as a White House Fellow, the nation’s most prestigious public service Fellowship. As a White House Fellow, Rodney was placed at NASA working directly for the NASA Administrator. A decorated veteran, Rodney also served in the United States Air Force Judge Advocate General Corps eventually working at the Pentagon as a Congressional Legislative Liaison in the Office of the Secretary of the Air Force. Mr. Choate was elected to the Boards in April 2010. He serves on the Nominating Committee. Mr. Choate is Founder and President of Choate Construction Company. He graduated from Father Ryan High School and Vanderbilt University, both in Nashville, TN. He holds BA degrees in Economics and Business. Mr. Choate is active in several organizations including Cystic Fibrosis Foundation, Special Olympics Georgia, and Homestretch. He is a member of Roswell Presbyterian Church, Atlanta Rotary, various chambers of commerce, and several business organizations. Dr. Harp was elected to the Boards in August 2008. He serves on the Audit and Compensation Committees. Dr. Harp is Minister Emeritus at Peachtree Road United Methodist Church, after having served as its Senior Minister for 20 years. 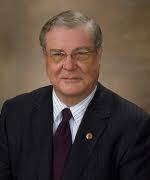 He is a member of the Buckhead Coalition and a Trustee of Young Harris College. He currently teaches at the Candler School of Theology at Emory University. 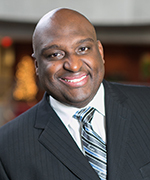 After graduating from Young Harris Junior College, Dr. Harp received his Bachelor of Arts degree from Huntingdon College, his Masters of Divinity from Emory University, and his Doctorate of Divinity from McCormick Theological Seminary at the University of Chicago. Mr. King was elected to the Boards in January 1998 and serves on the Audit (Chairman), Executive, and Loan & Discount Committees. He is in private law practice in Atlanta. He also serves as a Vice President and Director of the Institute for the Study of Disadvantage and Disability, Inc. a nonprofit organization. Mr. King is a graduate of the University of Virginia, with a Bachelor of Science degree in Commerce (Accounting) and the University of Georgia School of Law. He is a member of the Georgia Bar Association. 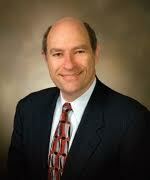 Mr. Lankford was elected to the Boards in January 2010 and serves on the Audit and Loan & Discount Committees. He is the Senior Tax Partner of Moore Stephens Tiller LLC since 2011, was the managing member from 1990 to 2011, and has been a member of the firm since 1979. He specializes in providing tax and financial consulting services to corporations, individuals, and non-profit organizations. Mr. Lankford graduated from the University of Georgia in 1972 with a Master’s degree in Accounting. After college, he served as an officer in the United States Army Field Artillery at Fort Sill, Oklahoma. He is a Trustee of the Atlanta Tax Forum and the Georgia Federal Tax Conference. He is also a member of the Atlanta Estate Planning Council, and is on the Board of the University of Georgia’s J. M. Tull School of Accounting. Mrs. O’Neal was elected to the Boards in February 2018. She is a community activist and former Fidelity Bank Risk Control Executive until 2014. 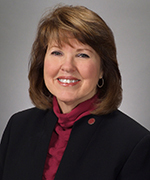 Prior to retirement, she held positions at First Atlanta and at Fidelity Bank, where she was Internal Auditor, Operations Manager, and Executive Vice President & Chief Risk Officer. She was a board member of Rotary and served as the Club’s Secretary and Treasurer, and was a Court Appointed Special Advocate for DeKalb County. She is a Dahlonega resident and serves on the Board of Dahlonega Baptist Church, is Treasurer of the Weekday Preschool in Dahlonega, GA, and is a member of Women’s Missionary Union (WMU) that serves not only the local community but internationally. 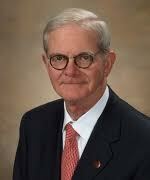 Mr. Shepherd was elected to the Bank’s Board in February 1998 and to the Holding Company’s Board effective January 2003. He serves on the Loan & Discount, Executive, and Nominating Committees. He is a native Atlantan who graduated from the Westminster Schools and Southern Methodist University. Mr. Shepherd is the President of Plant Improvement Company, President of Toco Hill, Inc., and Manager and Partner of WCS Investment Partnership, LLLP. 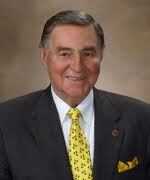 He serves as a Board member for the Shepherd Center, Georgia Highway Contractors, and the Georgia Asphalt Association. He also serves as a Trustee of the Shepherd Foundation and Camp Sunshine. He does charity work for the Shepherd Center and supports many charities around Atlanta. Mr. Smith was elected to the Boards of Fidelity Southern Corporation and Fidelity Bank in 1987 and serves on the Compensation, Nominating, and Loan & Discount Committees. He graduated from the University of Georgia with a degree in Business. He is owner and manager of Seminole Plantation in south Georgia. Mr. Smith was formerly a director of the Atlanta Falcons Football Club and served as President of the football team for over ten years. 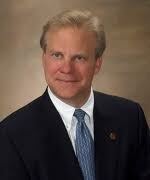 He serves as Chairman of the Board of Trustees of Thomas University, Thomasville, Georgia, and as a Director of Archbold Medical Foundation.